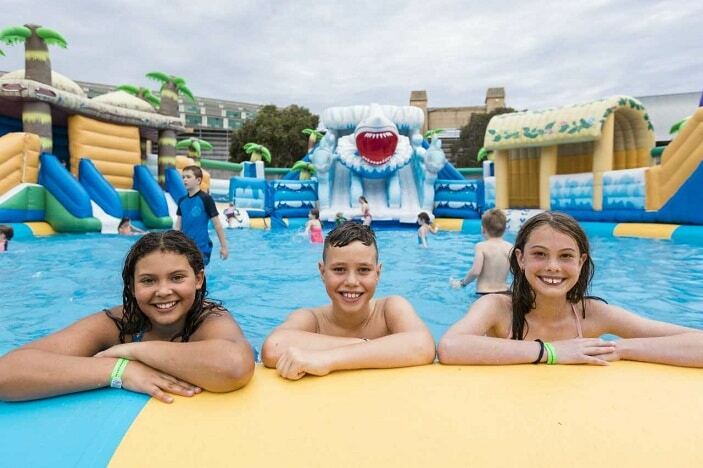 Get ready for some splashy fun at Australia’s first mobile waterpark and enjoy the gorgeous sunshine of Brisbane’s Autumn weather. 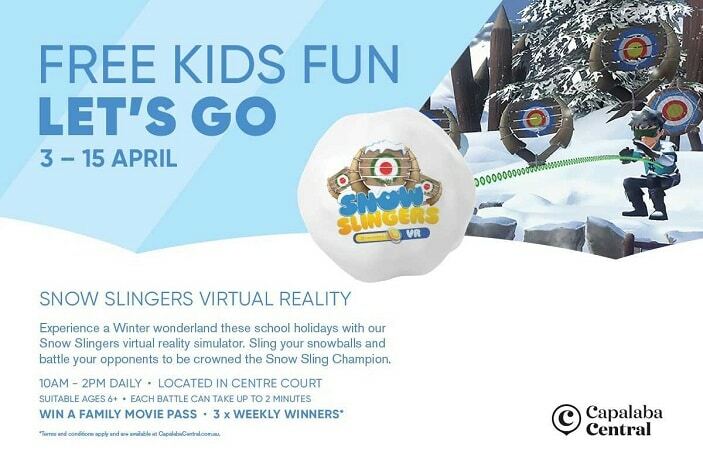 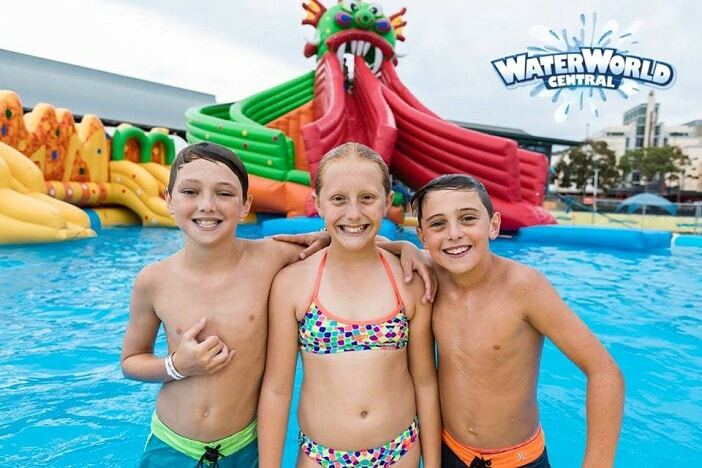 Waterworld Central will be the place to be for the ultimate enjoyment in the Easter/April 2019 school holidays. 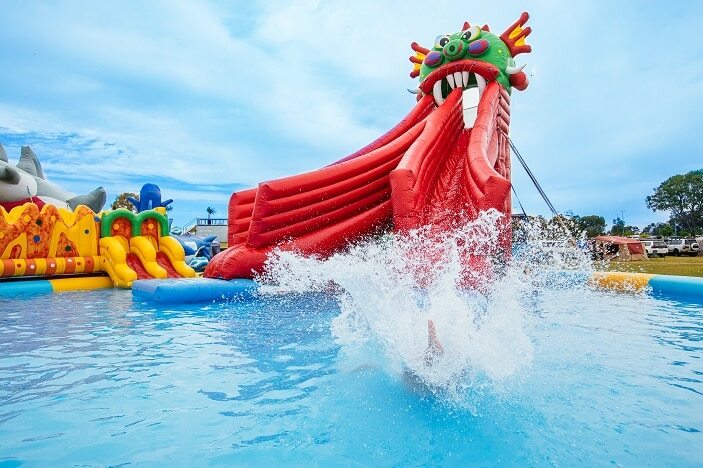 With giant inflatable pools and slides galore, including the massive Dino Slide, Waterworld Central promises hours of enjoyment in the water with your mates. 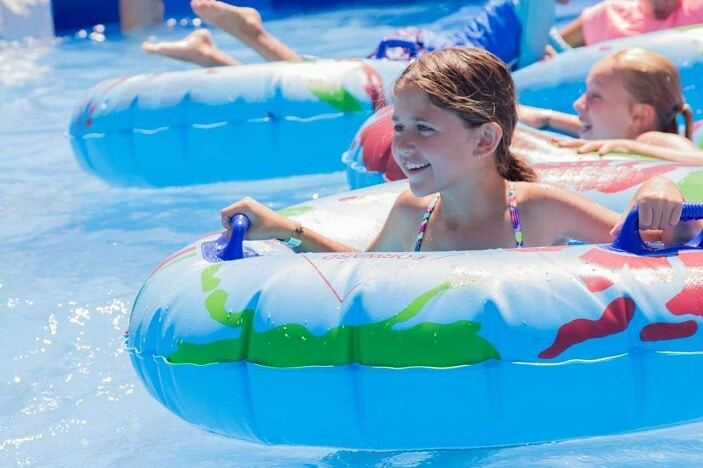 Pre-purchasing your Waterworld Central tickets is the best way to go, but this must be done by 8am the day you are attending, otherwise, tickets can be purchased at the gate. 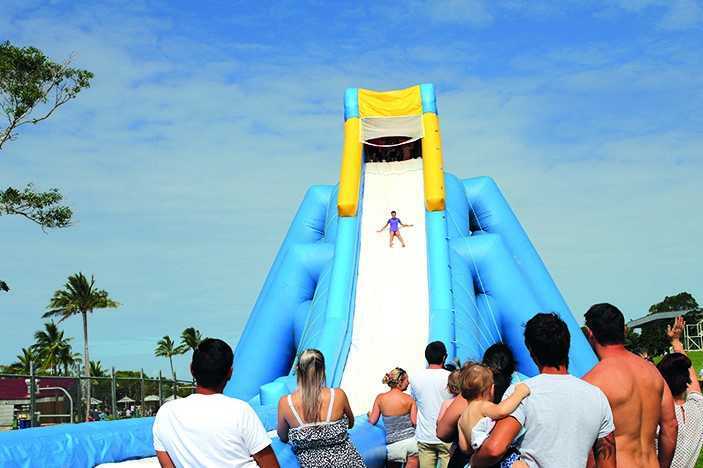 Address: 1800 Bribie Island Road, Sandstone Point, Queensland 4511. 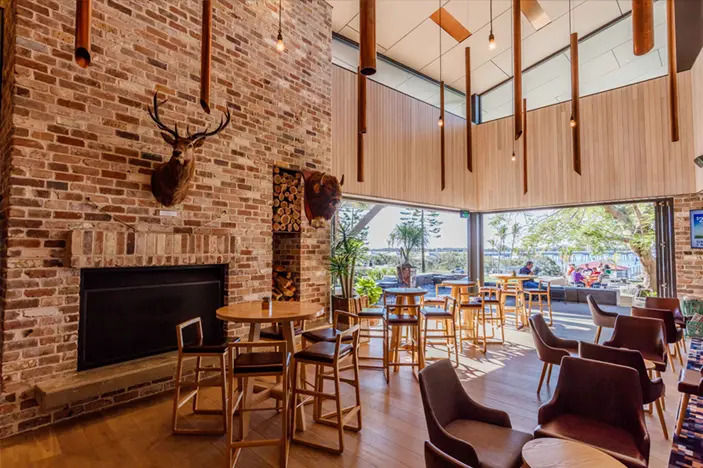 Conveniently located in the beautiful Moreton Bay Shire, Sandstone Point Hotel is approximately a 45-minute drive from Brisbane’s CBD. 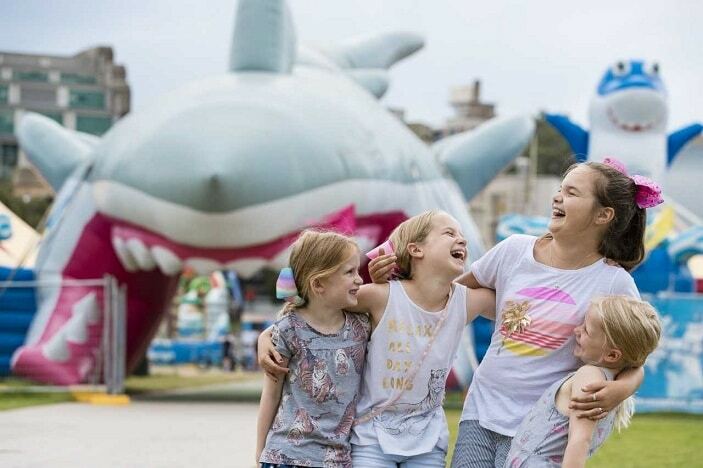 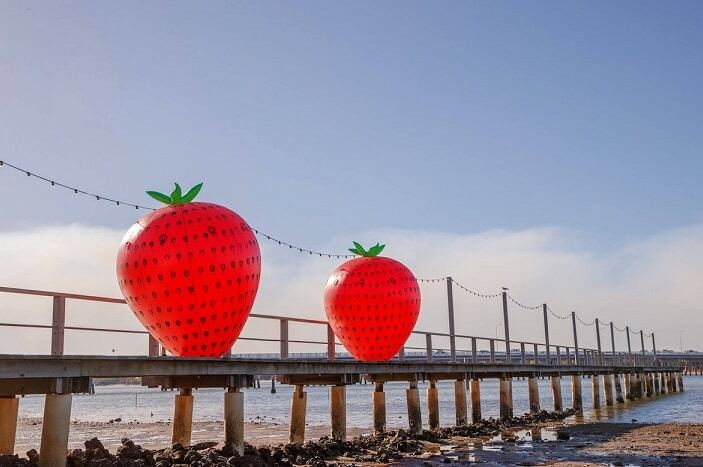 With the Hotel overlooking the waters of the Pumicestone Passage and Moreton Bay, it is a great place to stay on and enjoy the view while having some lunch either before or after the kids have made the most of the waterpark. 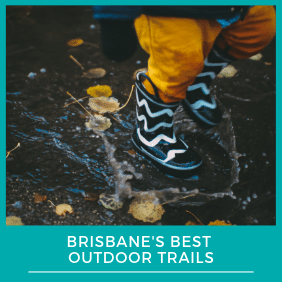 Sandstone Point Hotel also boasts a kids playground, free parking, and lots of green areas for the kids to run around while the adults enjoy some food and drink, making it the perfect venue to spend the day at during the school holidays. 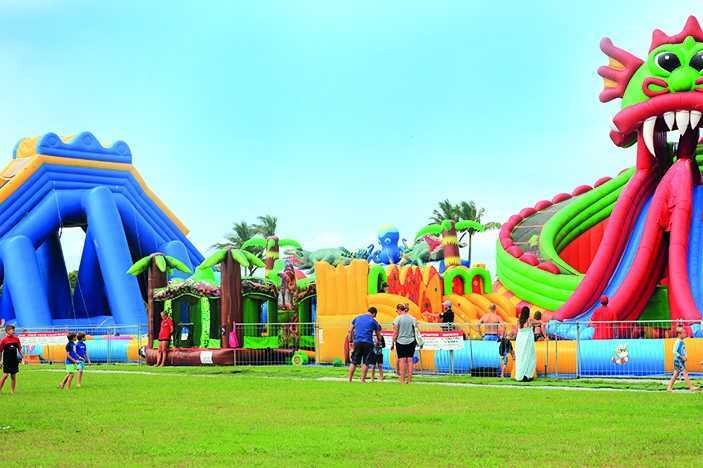 My kids would love this waterpark and I reckon I would too.